An Attitude of Gratitude: "My name is Zach and I am an Addict in Recovery"
Last Thanksgiving I sent out a blog and newsletter titled “An Addict’s Gratitude on Thanksgiving”. Typically here at MARC we try to keep our blogs/newsletters educational in nature, informing or educating readers on things to know about addiction, treatment and recovery. However, we also find it vitally important to do our part to break stigma and end the silence and shame surrounding addiction, mental health and recovery. Personalizing our blog last Thanksgiving was a way to do that, where I simply shared 5 things I was grateful for at this time last year. With all the fear, hatred and division in the news over these last few weeks and this week being Thanksgiving, now seems as good a time as any to get a little transparent and vulnerable and share from the heart some things I am personally grateful for related to recovery. So here we go. My name is Zach Snitzer. I am one of the owners of Maryland Addiction Recovery Center and I am an addict in recovery. 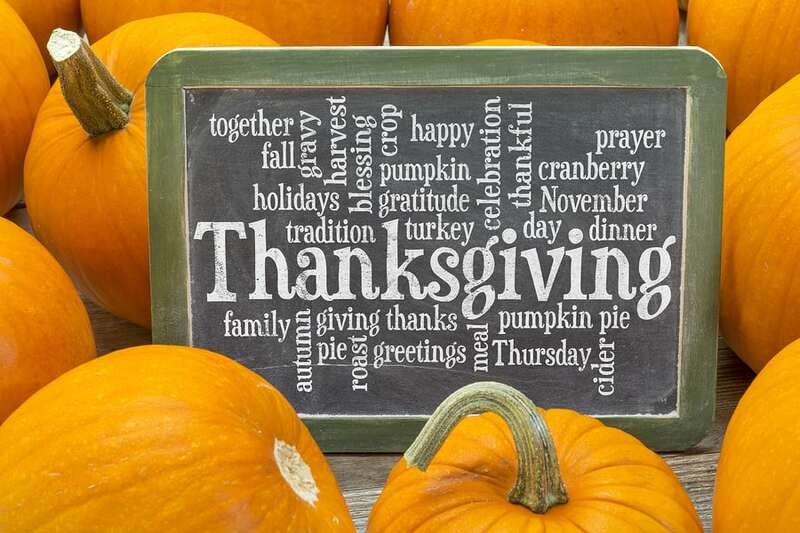 Happy Thanksgiving and an upcoming holiday season to you and your loved ones. Thanksgiving is an interesting time for someone who is in recovery. Why? Because thankfulness and gratitude is something we are taught early on needs to be a part of everyday living in order to insure a long term, sustainable recovery. It is also said that the level of my happiness is directly proportional to my amount of gratitude. There is an old saying in the rooms of 12 Step fellowships. They say “a grateful alcoholic will never drink” or “a grateful addict will never use”. I’m not sure how scientifically accurate or “evidence-based” that statement is, but I can say from personal experience that an attitude of gratitude is necessary for me in my life to stay both sober and happy. The mind of an addict or alcoholic can easily be swayed into playing the role of victim, that life owes them something, that they have not received all the great things in life that they see other people receiving and enjoying. This can turn a person jealous, angry and resentful. Certainly not a good headspace or emotional place to be for someone in recovery. This type of attitude can often lead to relapse. I have found such an attitude of gratitude and of thankfulness helps keep me emotionally balanced and overall relatively happy. It changes my perception of life. When people get sick or pass away, I can be sad without having my world destroyed and can be able to cherish memories that had been made with that person. When situations or circumstances arise that don’t go how I want them to go, I can look at them as learning experiences or simply as something to experience without becoming angry or resentful. My perception influences my attitude and my attitude must be one of gratitude. Every morning since I got clean and sober, I awake and say the same thing. I say, “I am thankful for waking up today. I am thankful for my life, for my sobriety, for the love of my family and friends and I am thankful for the love and the power and the grace that allowed me to find recovery.” I have found that recognizing and identifying the grace, that unmerited, unwarranted gift of grace that for so many years I felt beyond my reach, is important in keeping an attitude of gratitude. Living the life of an addict is to feel loneliness and despair like few know. You feel trapped. You feel that no one truly understands how you feel, like you are alone in the universe. You feel the only way to feel “normal” (both physically but also mentally and emotionally) is to be intoxicated with substances, even though you know those substances are destroying your life and your relationships, causing unsolvable problems and slowly killing you. It is terrible and painful existence, having to use every day even when you don’t want to do so. For most people in the grips of addiction, all hope seems lost. The idea of getting clean and sober feels like standing alone on a deserted beach staring at a 50 foot wave that is about to crash on the shore. It feels like holding your breath for an eternity. It feels impossible. Grace is an unmerited, unwarranted gift. It allows for a window of opportunity, a moment of clarity where the mind says “I can do this, I can survive this wave” and then the feet follow. An opportunity to get honest about your addiction…and you take it! An opportunity to go to treatment…and you don’t fight it! Suggestions to change things or do things you would never agree to do in the past…and you do them! On the other side of that wave, that window, that uncomfortable place of early sobriety is a life that is often described by those in recovery to be “beyond my wildest dreams”. Again, I do not know if that motto has been vetted for scientific accuracy, but I can say for me that recovery has delivered for me what I thought I was getting from drugs and alcohol: a feeling of happiness, security and relief. A courage to face the world as it is and know that everything is going to be okay regardless. A self-confidence and emotional balance. Self-worth. Serenity. Joy. The peace of mind understanding that my life doesn’t need to be or to look a certain way, that I do not need to be tied to perceived outcomes to be happy but instead can be happy regardless. A life without drugs and alcohol was foreign to me for many years. Now, I couldn’t imagine trading in the life I have today for a drink or a drug. My perception has changed. My life has changed. I am a son, a husband, a father, a brother, a friend, business owner, a member of my community and of a worldwide recovery community of brothers and sisters. I can have fun, enjoy life, be sarcastic, laugh with friends, be social without the aid of substances. I am grateful for this life, for the principles and actions I have learned in recovery and for everything recovery has given me. Furthermore, I am grateful that this gift of recovery is available to anyone that seeks it. I am grateful for so many things it is difficult to put into words or explain. I am grateful that I get to spend this holiday season surrounded by family and friends and truly enjoy these wonderful moments. I am also grateful that many of you will get to do the same. Finally, I am grateful that for those of you still suffering in addiction or who have family suffering from addiction that you may be able to hear from this message that there is hope and that there is treatment and that there is recovery available, even if it may not seem like it now. Grace. Hope. Gratitude. I am thankful for them all and I wish them for you and yours during this holiday season. Happy Holidays from all of us here at Maryland Addiction Recovery Center!